As we close out another season building garages in the Chicagoland area, this year marks one slightly more special than the others. Announced earlier this year, we are celebrating our 35th Anniversary. 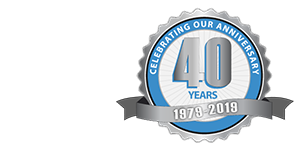 Since 1979, we have proudly build garages for homeowners from Antioch to Oak Forest, with every city in between. 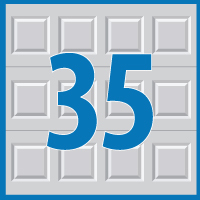 But to commemorate these 35 years, we would like to share with you 35 things that have happened in the Chicagoland area since 1979. 1980–Blues Brothers directed by John Landis and starring John Belushi and Dan Aykroyd released on June 20,1980. 1995—Navy Pier in Chicago, constructed in 1916 as a shipping terminal and then used for wartime navy and marine training and as a campus of the University of Illinois, is renovated and reopens with a giant Ferris Wheel, children’s museum, stage pavilion, and retail shops. 1997—The Field Museum of Natural History, outbidding museums throughout the United States, pays $8.4 million for Sue, the most complete Tyrannosaurus Rex fossil yet discovered. 2005—Chicago White Sox win their third World Series, first in 88 years. 2008—Then Governor of Illinois, Rod Blagojevich, is arrested by federal officials for a number of alleged crimes including attempting to sell the United States Senate seat being vacated by President. These are just a few of the events that have shaped the area since we began. Learn more about our history at Blue Sky Builders, and see how you can be part of our growth in 2015 and beyond!